Last week I ran across a fantastic article discussing the challenges foreign authors face. I’m an American, but I live in a foreign country and I felt an immediate kinship with the author as they recounted the challenges they face. Talk about a nightmare sometimes. At the top of my list are virtual marketing and tax issues. Then it dawned on me. I don’t even run into a tenth of the challenges a true international author must overcome. Everything I believe comes through in my work. My cultural background is exposed for the world to see. My ideological views are subconsciously woven into the stories I tell. Hints about my thoughts on family, honor, character, politics, love, and even death can all be found in my words. Because all of those things have shaped me and a piece of me is inside each of my books. The things I question, the ideas I embrace and the concepts I don’t fully understand (but want to explore) are all there for the avid reader to find. And that’s where I differ from a true international author. Because my voice, as unique as it is, carries the same values as the ‘western’ world, in some degree or another. I may be a drop in the ocean of all the other self-published authors, or books, but I’m a familiar drop. Obviously, I have my own strengths. I avoid stereotypes. I write strong, complex characters–especially strong female characters. I’ve always been a character-driven author. I love exploring relationships. Emotion is another of my strengths. I take those strengths, character and emotion, and build on them. I tell the stories my characters need to tell. But, as different and complex as those characters are, they are still familiar, in some way or another. Culture, attitudes, background, ideologies, mannerisms, traditions–there is great diversity in our world and I for one want to read more about it. I want to explore the unfamiliar, the different, and by doing so hopefully grow as a person. Self-publishing has taken away the barriers for most authors, but what about those authors still working with a publishing house? Why are international books not promoted as heavily as the others? I believe it’s a matter of business. Familiarity sells. In the original article, the author complained about the lack of promotion for diverse authors and listed David Ramirez’s new book, The Forever Watch, as an example. I had never heard of David Ramirez, an author from the Philippines, before, but his book sounds intriguing. I’d read it. The article linked to other articles, but before I could investigate further, in one of my all-too-common moments of idiocy, I shut down the browser. After hours of searching, I can’t find the original article. I found other articles, but none expressed as passionately as that first article I found. All weekend, I thought about it. I thought about how difficult it is to hear any voice in the world of published books, much less one that is different. I want to hear those voices. I want to read about different cultures. I thought about my own reading list. So far this year I’ve read books, fiction and non-fiction, written by Americans, Canadians, Brits, a Polish author, Swedes (in Swedish), a Norwegian, African-Americans, and Australians. I’ve read a fairly even mix of female and male authors (the ratio of women authors to men is another post entirely). Have I done enough? How can I support international authors? 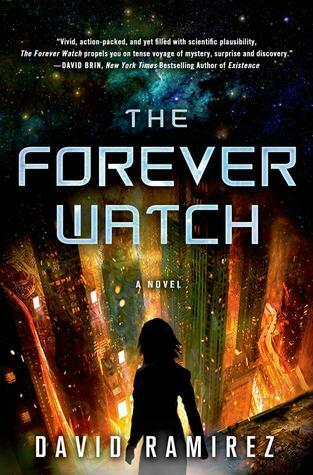 For starters, I’m going to read The Forever Watch by David Ramirez. Going forward, I’m going to take the time and effort to include more international authors in my reading choices. This is where I get bogged down. I have so many books already slotted to read, how can I add more? Then I think, how can I not add more? Because I believe if I see something that needs to be changed in our world and can’t be bothered to do anything about it, what does that say about me? I can’t change the marketing campaigns of major publishing houses. I don’t have 100,000 twitter followers. But I can change what I read. I can encourage others. I can set an example. That’s how we break glass ceilings. That’s how we shatter the shackles of cultural boundaries.